Claymation celebrities pitted against each other almost always ending in the loser's gruesome death. 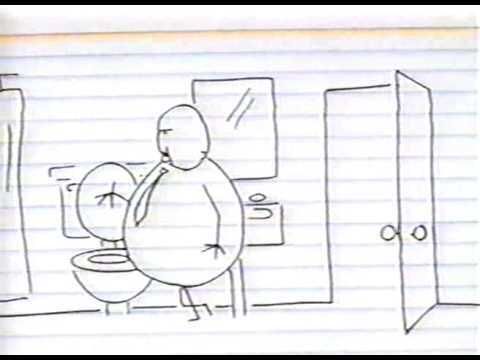 Liquid Television on MTV used to play these clips of famous scenes from films redone with stick figures: Genius! Yes, they made a film of it, and it's actually pretty good because they hired Jim Henson.